Built in the centre of Dorking, Surrey, the Waitrose supermarket project included the design and construction of a new, two-storey branch with underground split-level car parking. Designed by B & R Architects and built by main contractor R G Carter, the new store replaced a 2,600m² store with a large, modern development that blends seamlessly into the traditional surroundings. Described as “the most difficult and complex” new building project by Waitrose Construction Manager Ken Catt, the new store features several separate roofs split into various areas. Appointed to complete the waterproofing contract, Sika-Trocal Licensed Contractor Robertson Roofing supplied the Type S system in slate grey and light grey to enhance the architect’s design and provide visual separation between adjacent roof levels. In total, more than 3,000m² of Sika-Trocal S Membrane was installed on roof areas located on seven different levels of the new building. 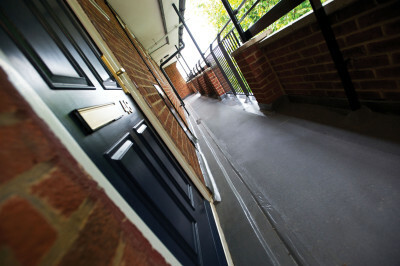 Offering exceptional waterproofing, durability and a simple installation process, Sika Trocal says its cold-applied Type S roofing membrane is approved by the British Board of Agrément (BBA) to have a life expectancy in excess of 35 years. Combined with an efficient installation that ensures an improved seal, the manufacturer says the Type S waterproofing membrane delivers excellent performance that will last for many years. 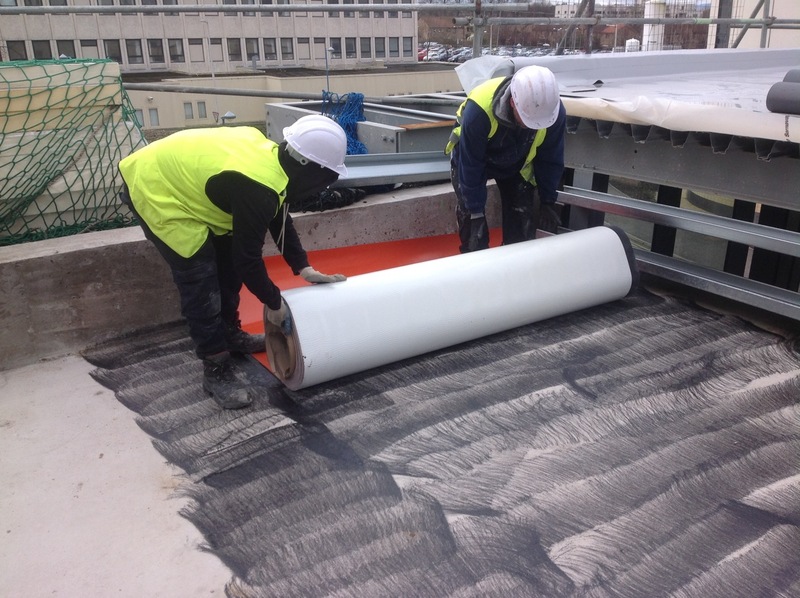 Laid over the insulation onto the deep profile metal deck, the Type S membrane was fastened using Sika-Trocal’s laminated metal disc system. This system sees the membrane and insulation mechanically-fixed to the roof in a single process, ensuring a fast installation, minimising components required and reducing overall project costs. Sika-Trocal laminated metal angle profiles were also applied to plywood-lined parapet gutters at the base of the sloping roof tile sections, situated in five different locations. The new store was designed to locate sympathetically within Dorking town centre. 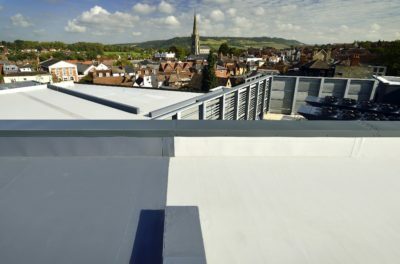 The design required the insulated Sika-Trocal system to be installed over several individual smaller roof areas; the larger Sika-Trocal roof areas were additionally broken-up with a series of continuous 600mm-high “false box” architectural features created by Robertson Roofing using the Sika-Trocal S membrane. Those involved in the project explained that as well as removing the need for additional materials and works on site, the system’s metal detailing lent itself perfectly to the creation of these historically sympathetic aspects whilst ensuring a continuous aesthetic. 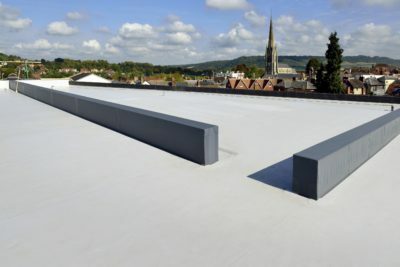 Suitable for mechanically-fastened roofs in both new-build and refurbishment applications, Sika-Trocal says its Type S is generally believed to provide the most rapid and economic system to install. Its flexibility and simple-to-install properties are paramount in providing a waterproof membrane of substance and style.